I’ve written about many notable desk organizers over on the Core77 website; if you’re an office supply fan, you can go see my posts from May 2014, October 2015 and July 2016. 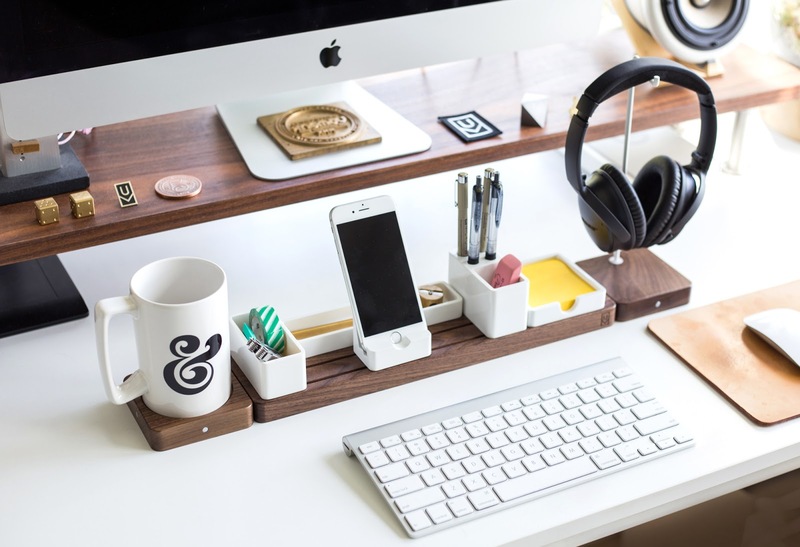 But because so many of us could use a desk organizer, and we all have somewhat different needs and aesthetic preferences, more interesting product keep coming along. 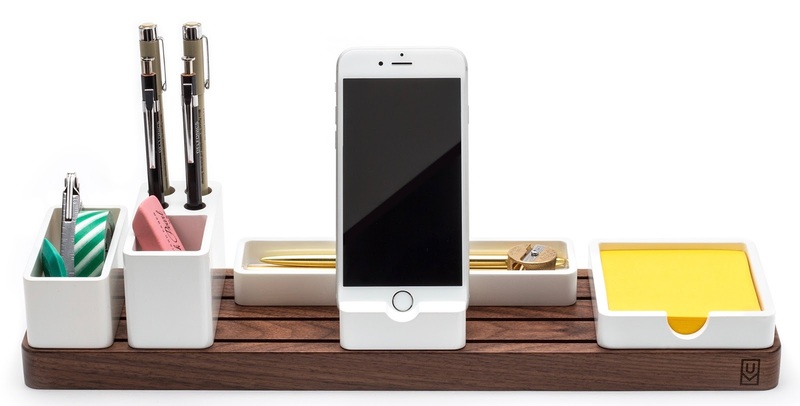 One of these is Gather, from Ugmonk, currently available via Kickstarter. 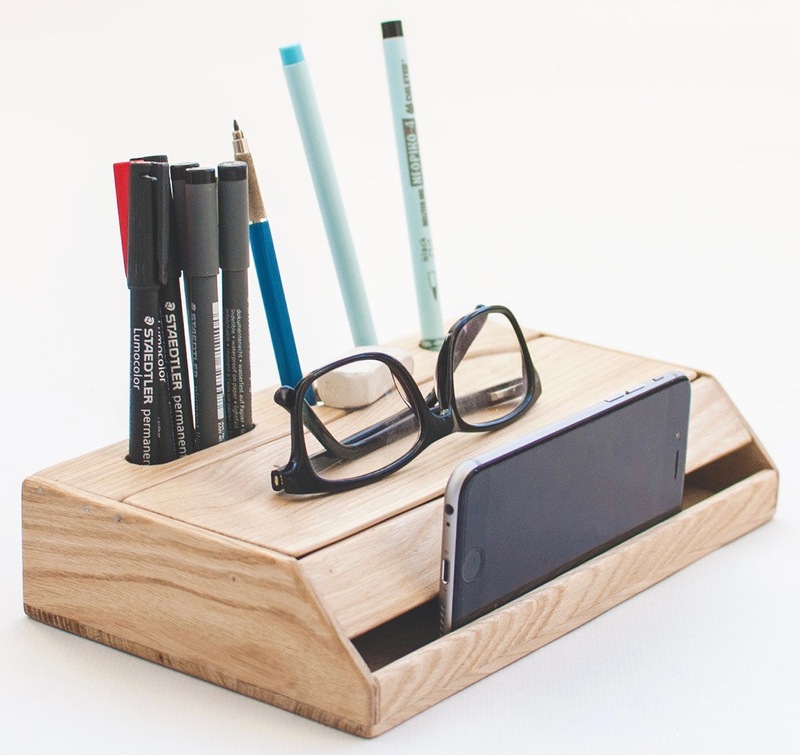 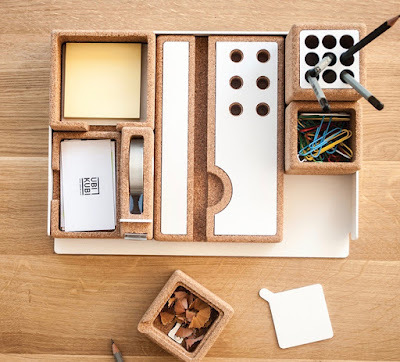 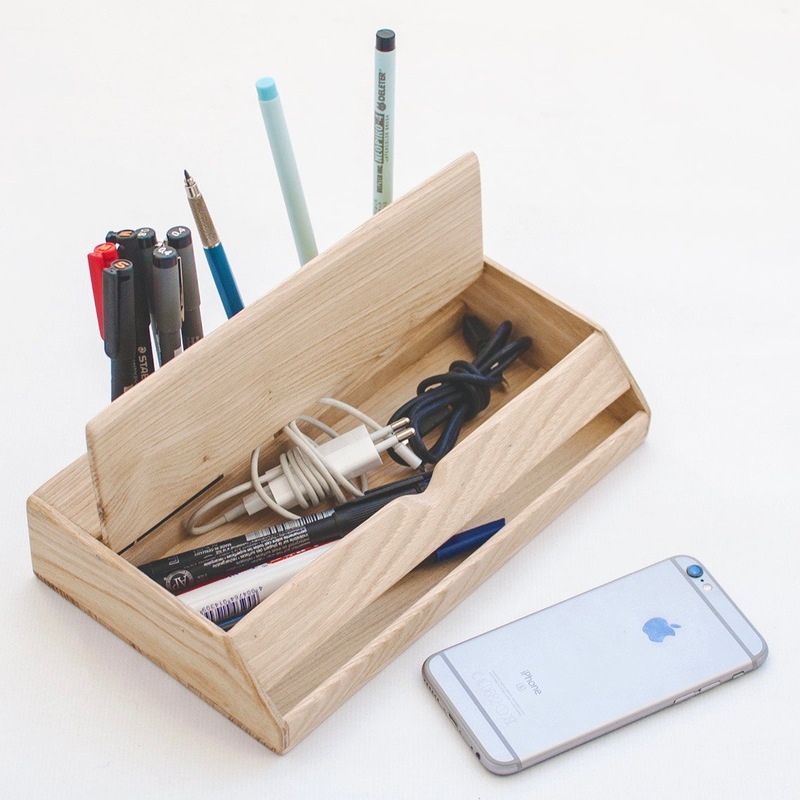 If you just need a small desk organizer for notepads, pens and your smartphone, the Bau organizer from Most Modest would work. 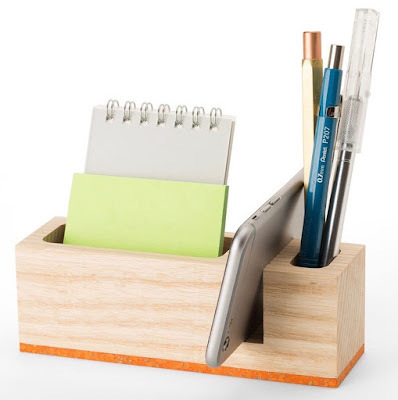 You have your choice of five colors for that bottom stripe. If you’d like to keep some things hidden away but still right at hand, you might like the Estuche desk organizer from Oitenta. That enclosed area is quite a versatile storage space, holding things such as charging cords, sticky notes, a box of paper clips, etc. But there’s no external storage spot for a notepad or sticky notes, which will be a problem for some folks. 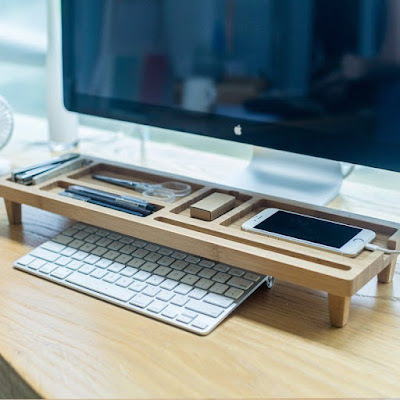 If you have a desktop computer (or a laptop used with an external monitor, keyboard and mouse) you might like the desk organizer from GardenX. That space for your smartphone doesn’t look large enough for the larger models now being sold, though; you’d probably want to contact the seller for dimensions. But then again, that space could be used for things other than a smartphone, as at least one purchaser has done. 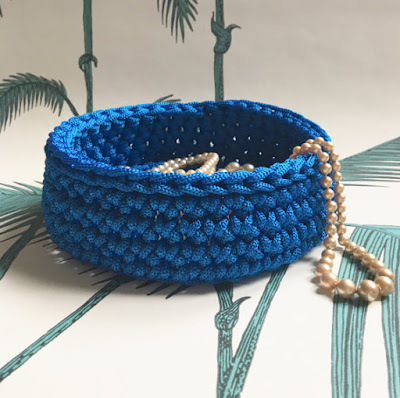 Let’s start with this bright blue basket from L'Atelier de NaNa H — good for holding all sorts of small items. 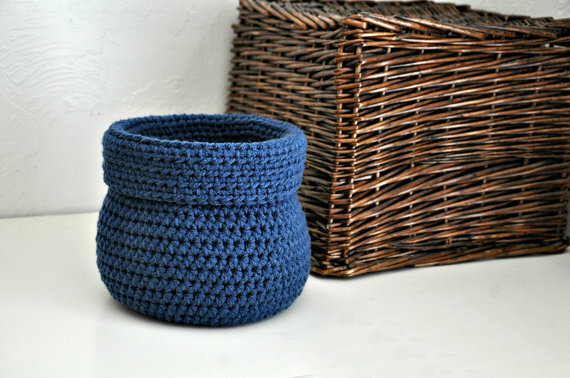 This catchall from A & B Design Studio is another lovely shade of blue. 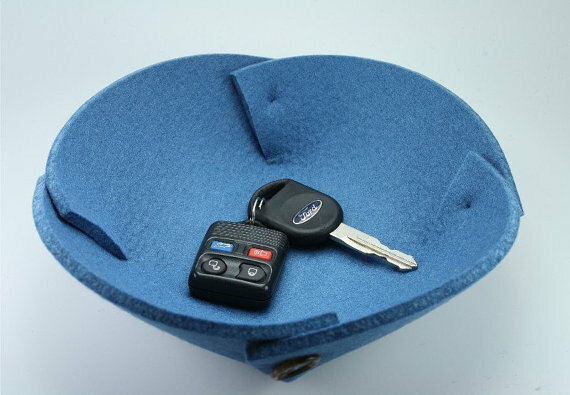 And here's a different sort of catchall from feltplanet. 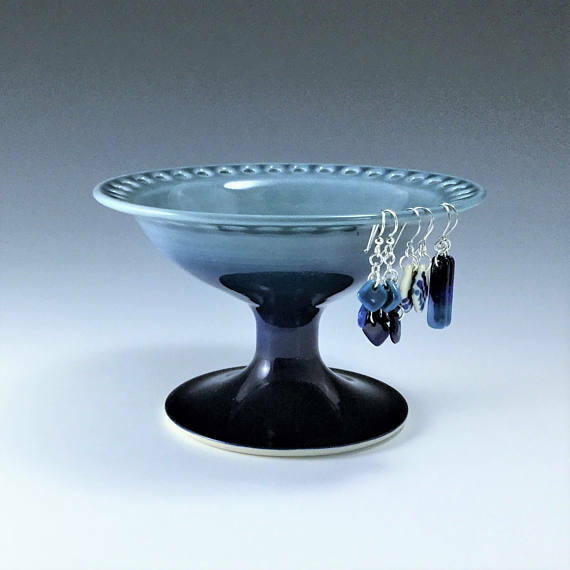 This earring stand comes from Allison Glick Ceramics.